WWE wrestling legend and actor Rowdy Roddy Piper passed away at the age of 61 last night. No cause of death was immediately given, but his agent Jay Schachter confirmed to Deadline that Roddy Piper died peacefully in his sleep. He is believed to have succumbed to cardiac arrest. The actor and pro wrestler, whose real name was Roderick George Toombs, was diagnosed with Hodgkin's lymphoma back in 2007, but Piper said last year that he was cancer-free. Here's what Jay Schachter had to say in a statement to Deadline. "I am shocked and beyond devastated. He was an amazing man and a true friend, one of the most generous, sincere and authentic people I have ever known. This is a true loss to us all." Roddy Piper started wrestling professionally in 1973, in various different leagues throughout the country, before he joined the World Wrestling Federation (WWF) in 1984. Although he was born in Saskatchewan, Canada, his on-air wrestling persona was from Glasgow, Scotland, and he entered the ring wearing a kilt while playing the bagpipes. His legendary rivalry with Hulk Hogan helped push the business into the pop culture stratosphere. During the first ever WrestleMania event in 1985, Roddy Piper and his tag-team partner Paul Orndorff lost to Hulk Hogan and Mr. T. Here's what WWE chairman Vince McMahon had to say in a statement. 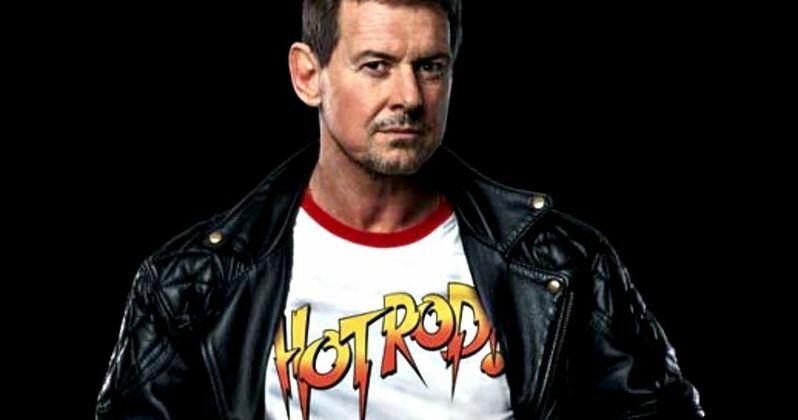 "Roddy Piper was one of the most entertaining, controversial and bombastic performers ever in WWE, beloved by millions of fans around the world. I extend my deepest condolences to his family." During his time in the WWF, which was later re-branded as World Wrestling Entertainment (WWE), Roddy Piper also hosted his own interview show dubbed Piper's Pit, where he would often mock his guests and, at times, attack them viciously. He left the WWF in 1996 to join World Championship Wrestling (WCW), before going back to the WWE in 2003. He was inducted into the WWE Hall of Fame in 2005. Last year, he was a regular on the WWE Network's reality series Legends House. Roddy Piper also starred in a number of feature films, most notably, the 1988 horror cult classic They Live. His other movie roles include Immortal Combat, No Contest, Terminal Rush and many more. On the small screen, he had guest-starring roles on Highlander, Cold Case and It's Always Sunny in Philadelphia. He most recently landed a guest voice role on Adventure Time. Roddy Piper is survived by his wife of 33 years, Kitty Dittrich, and their four children, actress Ariel Teal Toombs, MMA fighter Colt Toombs, Fallon Danica Toombs and Anastacia Toombs. What was your favorite Roddy Piper wrestling match or movie role? Chime in with your thoughts below.